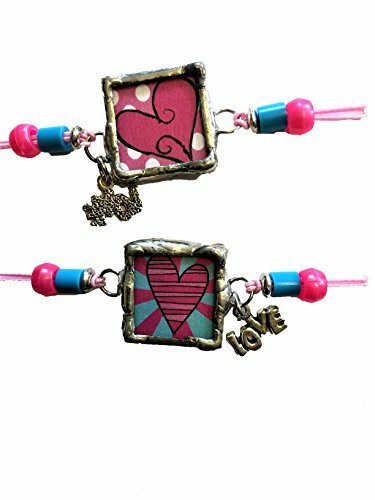 Charms are made with inspiration and love for family and photographs. Made in the USA all charms are 1 x 1 in size and double sided with two trendy designs. Colorful stretch bands on bracelets and necklaces fits most. Fun, funky and fabulous charm jewelry made by Amy Catherine. Love, laugh and be charming. Perfect to collect, stack and share. Handmade in USA. If you have any questions about this product by Amy Catherine Designs, contact us by completing and submitting the form below. If you are looking for a specif part number, please include it with your message.